Bali is a wonderful place to have a holiday at. Also, people love to come over and enjoy tasty food. I still had to work during my travel in Bali. This is a reason why I always look for places to spend time at and enjoy some snacks while preparing new articles for the blog. I found 5 amazing cafés and places that are a must go for those who want to enjoy nice food and/or still want to work on the go..
One of these places is the 9/11 cafe and concept store. 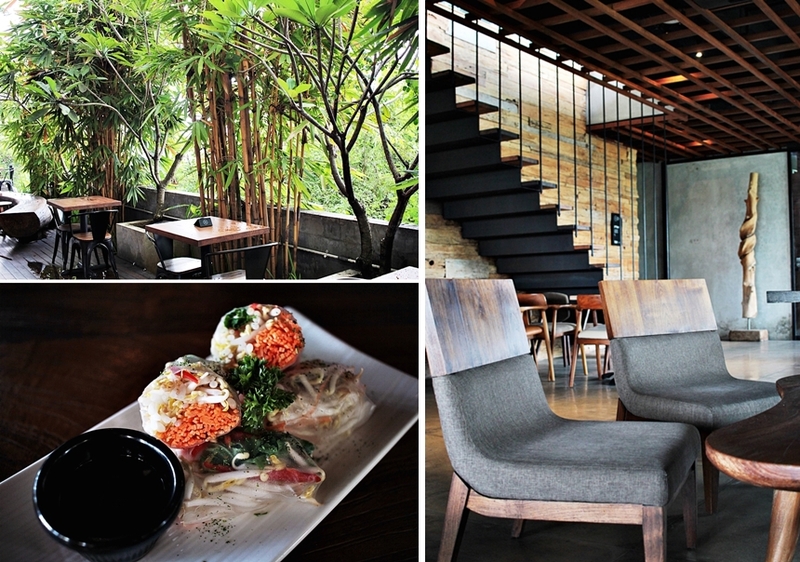 The in Denpasar located two floor building is a must do for those who love interior. All the furniture is wooden and handmade. There is also an outside area to enjoy one´s food at and a second floor for those who would like to see the sunset. In terms of food one will find vegan options and an all-day menu. My favorite food options were given trough the breakfast time. Also, their offered almond milk or fresh juices were a liquid heaven. The menu is huge and be sure that there´s an option for everyone. I really enjoyed my time and will be back. My visit at the latéO has been a wonderful experience and still is a wonderful memory. I spent about 5 hours at the cafe, working on articles and enjoying matcha tea. 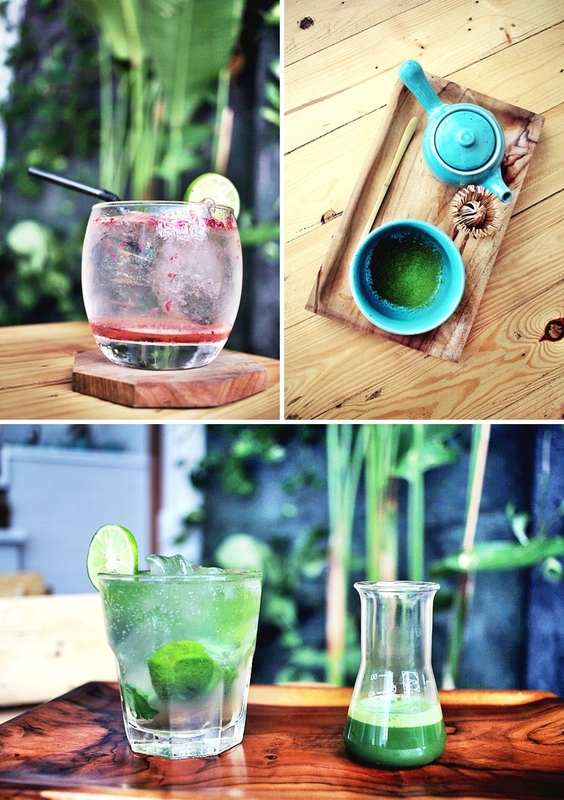 Cafe latéO is the matcha place to go in Bali. The green tea matcha powder is from Kyoto in Japan and has a high quality. Matcha is the signature ingredient of this cafe and places in almost everything being sold at cafe latéO. Beside amazing drinks there is also a huge selection of food. My favorite dish was the tempeh burger, a fresh dish being served with fries. Something to try as well is the bubbly rose water drink. 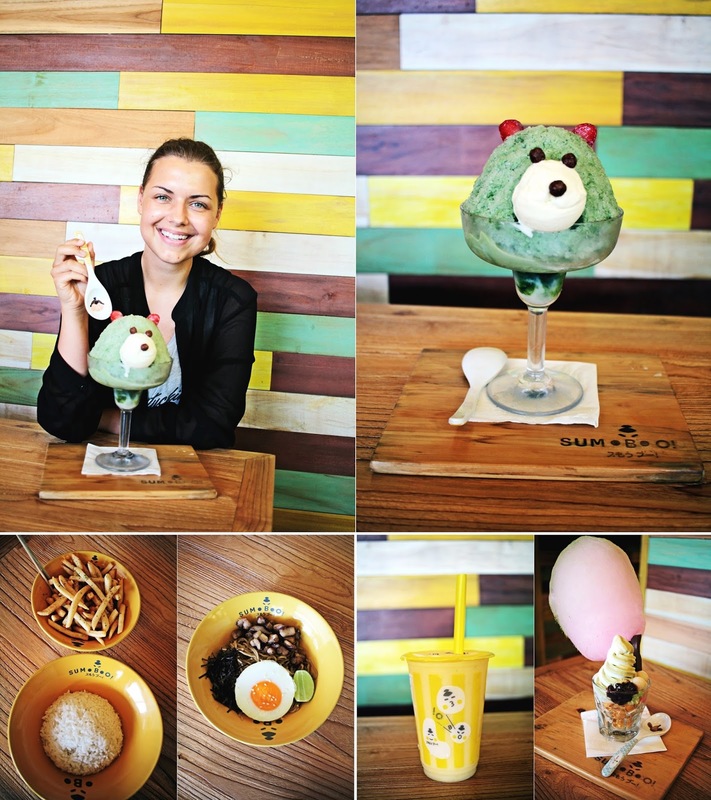 I haven't had any space left for dessert but the matcha ice cream is probably something that you won't want to miss as well. Cafe latéO is in Denpasar city. While Denpasar City is very hectic and active I can promise that you will love cafe latéO as it is comparable to an abandoned garden oasis, with comfy seating areas and a clean and minimalistic design. You'll be served by friendly staff and have access to fast Wi-Fi. As some of you know my heart melts for everything Japanese. I´m so obsessed with Japanese culture and food and was even more excited to visit Sumo Boo, an Indonesian restaurant with Japanese influences. Everything is this shop is unbelievable cute and tastes super sweet. The signature dishes are the desserts, while there are also main dishes like noodles or rice. Also, variations of fries are offered. A must does are the drinks and of course sumo boo also serves bubble tea. This place is a playground for small and “big kids” and will take you on a sugary adventure. I loved the looks and think that this place is all about food art. The food is amazing and the prices are low. This is a wonderful place for a family but also for everyone who wants to combine food and fun. 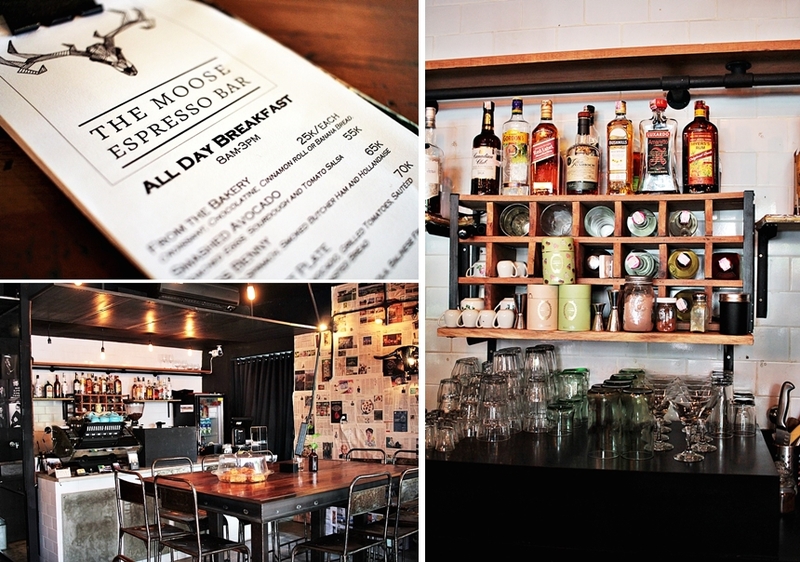 The Moose Espresso Bar became one of my favorite places to visit in Bali. As my apartment was located around the corner I used to walk in every day for the amazing matcha latte with coconut milk and coconut sugar. Also this places serves a bowl named “healthy goodies”. I usually always skip the dressing but this was the first time I actually enjoyed the dressing. Fresh smoothie bowls also remain to be a highlight out of the menu so as fresh fruit juices. The Moose Espresso Bar is open all day long but will transform into a cocktail bar in the evening. The place is cozy and has a couch and definitely a wondeful playlist. I loved to just hang out and take a break for myself. This place has also fast wifi and is the best place to go if one needs to work and looks for healthy snacks on side. 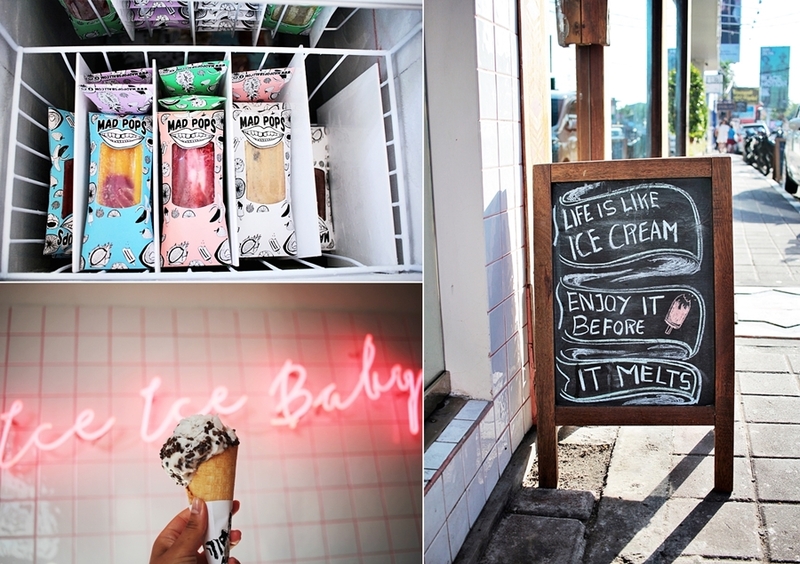 As Bali always remains hot and sunny, Mad pops is the place to go for a cool down. 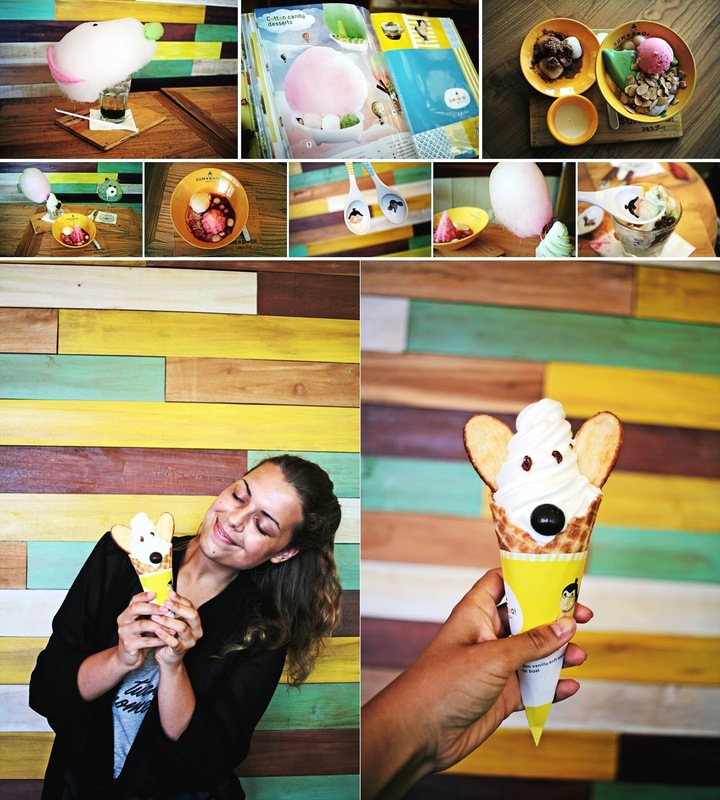 Mad pops make every vegan go nuts as they serve vegan ice cream based on coconut. The ice cream has a healthy twist and looks magical, while it´s all homemade. Flavors like rainbow vanilla will caught one´s eyes -that´s for sure and there are also toppings and changing flavors. The only non-vegan item at mad pops are the waffles, otherwise everything is vegan. 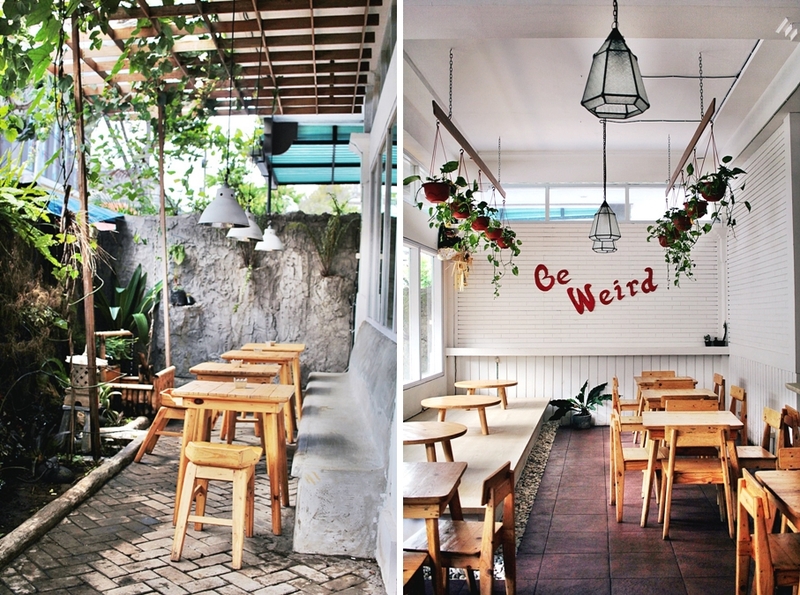 The mad pops ice café is located on the main street in Seminyak and very easy to find. The place is small and always crowded. Also on the weekends it´s a hotspot for spontaneous walk-in guests as it opens until late. The scoops are giant and I you can finish two of the scoops you´ll be stuffed for a few hours. The pricing is reasonable for the size and quality. One scoop is 60K but there are discounts for every additional scoop. 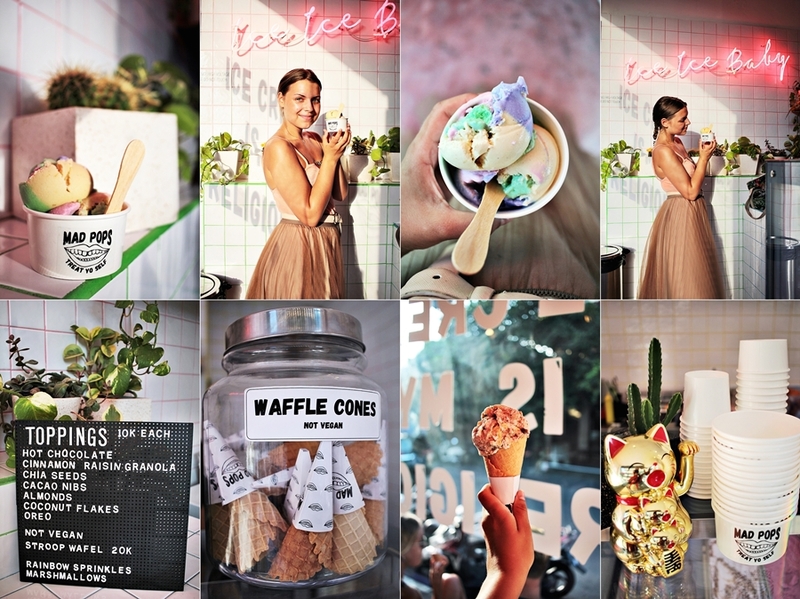 I can´t wait to be back in Seminyak for another scoop of the heavenly mad pops ice-cream.